Webcam Live Streaming turns your PC into a video surveillance system. 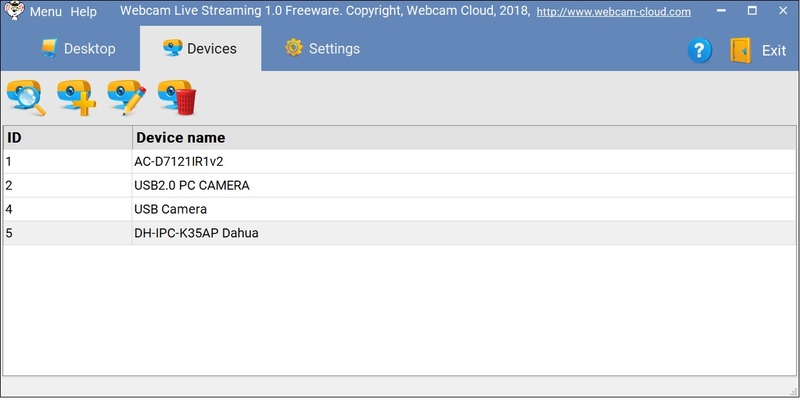 Aimed at the home and small business user, the system allows the capture, storage and playback of images from multiple USB Webcams or IP cameras. The software incorporates advanced features, such as a drag and drop user interface, motion detection, remote viewing streaming video over the Internet. Webcam Live Streaming can keep an eye on your home, it can do the same for your workplace. Use software to watch your spouse at home while you're away or make sure your babysitter is not neglecting your kids or to monitor pets when you're away.